You are here: Home / Why Work With Me? Most of my clients know how important content is to the success of their sustainability programs and other related efforts. They just don’t have the time to do it justice. 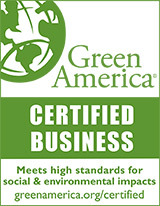 I have expertise in your sustainability issues and am committed to the same good business values you are pursuing. As a business acting to meet sustainability goals, you know that the bar is constantly being raised. The bad news is that your journey never ends. The good news is that there’s always a new story to share with your audience – whether that’s customers, suppliers, or employees. With degrees from Harvard undergrad and MIT’s Sloan School of Management, understanding complex topics and sharing them in ways that are clear and compelling is part of my DNA. This saves you precious time and requires less handholding on your part. I also understand the big picture of your business, while making sure you don’t miss important details. I keep up with the latest green business innovations, developments and requirements and bring new ideas and different perspectives to your content needs. My previous corporate career at organizations like Accenture and Booz Allen taught me many things. I’ve worked in industries including software development, financial services, consumer products, beverage, media, insurance, utilities, major appliance manufacturing, and management consulting. Corporate functions I’m familiar with include software development, learning and development, project management, knowledge management and end-to-end supply chain management. I’m uniquely positioned to “cross-pollinate” your own good ideas for content with what I’ve seen work across industries. I’m enough of a geek to get excited about Nielsen Norman reports on how people actually read online – and why that means shorter content is often better for your audience. As a Certified Content Marketer from Copyblogger.com, I’m up to date on the latest digital marketing trends. And I prefer to collaborate with clients as a trusted partner.